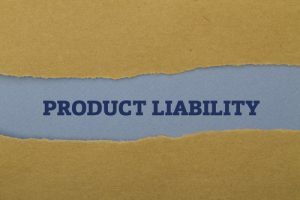 Products liability claims are one of the most difficult of all claims that can be brought in a court of law. In most cases, it is a single individual against a very large company with unlimited funds to challenge any person who has made a claim for injuries while using or being around their product. Because these cases are so complicated and expensive to prosecute, only a select few lawyers are fully able to take on the tasks and expense of such an claim. Most cases of defective products involve one of two kinds of claims. Either the product was inadequately designed or it was manufactured wrong. In the first instance, all the same products produced by the company will have the same defect and the results can be injuries to potentially hundreds or thousands of people. For example, defective air bags have injured or killed many people because of a design flaw in the part that causes the bags to deploy. On the other hand, a product may be well designed, but something happened during the manufacturing process that caused this one item to be defective. A few years ago, we handled a case where a man was severely injured at work when the pallet device he was using crushed him because the air valve pump was installed backwards at the plant. There are literally hundreds of questions that must be asked and answered when making a claim against a company’s product, and those answers often require hiring a team of experts to assist the lawyer and, eventually, the jury in understanding the nature of the product’s defects and what should have been done differently in the design or manufacture of the product. A Russell Blank is a products liability attorney who has been helping people just like you for over 30 years. If you have been injured due to a defective product, you cannot try to fight these large corporations and their attorneys on your own. Call the law firm of A. Russell Blank LLC and get an experienced personal injury attorney, private investigators and expert defective product witnesses working on your case. If you have any questions about your claim, contact us.